Heinrich Frederick Wilhelm Kloepper (Henry Klopper) was born according to the Petershargen Register of Births, Death and Marriages, on 24th March 1823, though his bible and the headstone on his grave record that he was born on 13th November 1823. He was the firstborn child of Cord Heinrich and Marie Elisabeth Kloepper of Suedfelde, near Minden Germany who were married on 18th August 1822. Henry had three brothers Heinrich Christian born 20th June 1825, Heinrich Frederick Christian born 30th May 1829, Frederick Wilhelm born 12th May 1831, and a sister Johanna Wilhelmina Caroline Christine born 3Oth January 1827. Henry at the age of 24 years sailed from Hamburg , Germany on the 20 th July 1847 in the sailing ship the “Hermann Von Beckerath” of 580 tons, which was under the command of Captain Kahl. The ship carried 25 cabin and 266 steerage passengers. The ship sailed to Australia via South America, calling at Rio for passengers to disembark there, and finally arrived at Port Adelaide, South Australia on the 15th December 1847, the journey taking nearly five months. The destination of Konrad Klopper, who also sailed from Hamburg on the Herman Von Beckerath is unknown. There is no record of his naturalisation in South Australia , though the signature on one of the witnesses on the marriage certificate of Henry and his wife three years later, could well be that of K Klopper. There is a possibility that he could have set­tled in Victoria as Mr F W Klopper of Torrens Park now aged 95 years, while holidaying in Bairnsdale , Victoria , met another FW Klopper who owned property at Bairnsdale and was a farmer and cattle breeder. While chatting they discovered that both of their grandfathers came out from Germany but the subject was not discussed further. 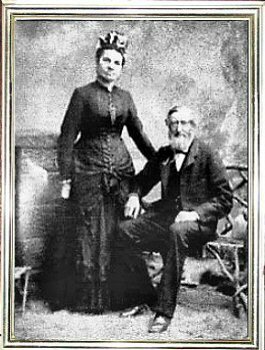 Also as passengers on the “Herman Von Beckerath” travelling to Australia were the Wetzel family of Brunswick , Germany. Henry married the eldest daughter Caroline, aged 17 years, 3 years later. The marriage was solemnised on 11th March 1850 in the St Andrew Church of Scotland, Grenfell Street , Adelaide , according to the Lutheran rites and they lived at Hope Valley . The present Stock Exchange Plaza stands on the site once occupied by the church. In the days of the first settlers, Hope Valley and the surrounding district was covered with forests of gum, sheoks and wattles and they used to reap the long grasses (by Scythe) of kangaroo, spear, barley and silver grass for hay. Birds were numerous it was a common sight to see a dozen turkeys marching along. There were thousands of cockatoos, parrots, quail and kookaburras and many other native birds were also plentiful. The soil was of very good quality and crops, orchards and market gardens were successfully grown. Henry’s first home was of eucalypt and pug, but in 1850 he helped a Mr Holbrook build a house of stone. The stone came from his own quarry at the bottom of Anstey’s Hill. The large kitchen and bakehouse, also of stone, were built near the house. As the family increased more pug and timber rooms were built until the house comprised seventeen rooms. Three large cellars and an underground tank were also provided. Henry also built a hay shed, large barn, stables and sheds. The home and buildings were situated on land which is now the south‑eastern corner of Valley and Grand Junction Roads. The only reminder of the old days is a large pepper tree under which the children used to play. Regular dances and concerts were held in the Klopper’s barn and sometimes the hayshed also, and it was the centre of social activities until the year 1927 when it was demolished. Henry was an excellent performer on the accordion and there was considerable talent in his children,there were elocutionists, composers, singers and musician. Henry and his wife had a family of fourteen children, eight sons and six daughters, one daughter died at the age of nine and a half months. The children were all christened at home, a white bowl with a blue band at the top being used as the christening font. The bowl was also used for the christening of the three children of Edward Klopper, who was the sec­ond son of Henry. All of the boys grew to be over six feet tall and all the girls over five feet ten inches. The girls were all given a very good educa­tion, but the boys needed to help their father in busy times so their educa­tion was rather limited. Caroline was an excellent cook, and as well as visitors always being welcome the homestead was also a haven for “runaway” sailors from the ships arriving at Port Adelaide. The sailors were assured of a meal and bed until they could establish themselves in the new colony. They were also a source of cheap labour for Henry. 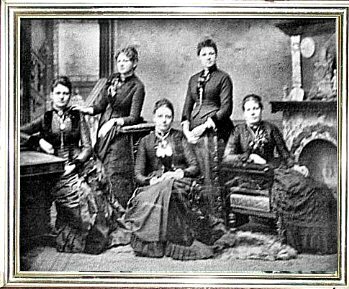 It was a hard life for Caroline, fourteen children in twenty one years., and even tho she always had help (the teamsters built their homes on Klopper land and their wives helped at the Klopper home) , it was a busy life. Henry, on the birth of each child, presented his wife with a piece of furniture which later was given to that son or daughter. Mrs Vera Dankel of Unley has the cedar bookcase given to Caroline on the birth of her father Frederick William Klopper. One of the Forrester’s girls had the sofa given on the birth of her mother Williernina. The Klopper women made their own bread, butter, cheese and candles. ground their own coffees besides the never ending housework, cooking and sewing. ‘File Klopper men always killed their own meat and cured the hams and bacon and made their own smallgoods. Henry was apparently a man of some means when he purchased his first land on his arrival in 1847. The property he acquired was 80 acres, section 823 in Hope Valley itself, which he began to clear and fence using the felled trees and stumps as fencing until he was able to erect post and rail fences. It was on this section that he built his home. He planted crops, orchards and vineyards (one of the cellars was used to store the wine) and there was also a large vegetable garden. Henry was a very good horseman and judge of horse flesh and he bred his own horse and bullock teams, which were used on the farm and for deliveries from the quarry. Henry was a strong, hardworking man and took a great interest in the progress of his new country and in particular Hope Valley itself. and was greatly involved in community affairs. In the German Settlers became impatient at the delay of the District Road Board to build a bridge over the creek below the Bremen Arms Hotel on the bullock track to Adelaide , so Henry and his neighbours built the bridge. Later when the bridge was allowed to fall into a state of disrepair they rebuilt the bridge. In the same year Henry was one of a committee of four, formed by William Holden (a well educated ‘Englishman who acquired one of the first allotments at Hope Valley . As he spoke German he befriended the German settlers and acted as their interpreter) to raise money to establish a school for the growing number of children in the district. The sum of £10 was raised for the purchase of 1 acre of land west of the Bremen Arms hotel, facing Grand Junction Road . The acres block was divided into three smaller allotments, for use as a cemetery (the present day Hope Valley Cemetery, where Henry and his wife Caroline are buried, no.3 for a school and schoolhouse and no.1 for parking horses for the cemetery and the school and as a school playground. The was held in trust by a committee consisting of William Holden, Henry Klopper., Joseph Farrow and Heinrich Wohlers until the year 1874, when it was vested in the District of Highercornbe. The Hope Valley School was completed towards the end of 1849 and its first headmaster was Mr Dempster. The second headmaster, Mr Prowse, was appointed in 1851, and advertised “to inform his friends and the neighbourhood” that the day school would be opened from 9am -4.pm and that night school would be opened three nights a week. In 1849 Hope Valley became a postal town on the mail route to Mt Torrens. Mails were delivered, twice weekly by horse at a cost of four pence a letter. Highercombe Hotel (which is now owned by the National Trust) was used as the first post office. Due to the discovery of gold in Victoria in 1852 and the exodus of workers to the goldfield, there was no postmaster or school teacher until 1854 when the Hope Valley post office reopened and the school reopened in 1856. The increased population in Victoria due to the gold rush, caused a demand for South Australia where and the District of Highercombe came rapidly under cultivation. By 1857 there were 4,464 acres under wheat, 219 of barley, 815 of cut hay and two flour mills were operating in the district. When the new District Council of Highercombe was proclaimed on July 4th 1853, Henry became the first councillor for the District of Hope Valley. The first meeting was held on August 2nd in the Assembly Room of the Bremen Arms Hotel. On October 70’ 1858 with Charles Knowles, he was re‑elected as councillor for the reproclaimed District of Highercombe when the area was reduced in size form 47.5 miles to 17 miles square, as proclaimed in the Government Gazette. Local Government was South Australia ‘s earliest form of self government. South Australia was in fact, the first of the colonies to institute the principle of an elected government. On November 25th 1852 an Act was passed by Government to appoint District Councils and define their powers. The Act gave the district the power to tax land owners in the district for the making and maintaining of roads, bridges and public buildings. To grant Publican, Depasturing and Slaughtering Licences and to build pounds for the impounding of stray cattle, sheep etc. Fines for stray horses and cattle 1 shilling and 3 pence, 6 pence for pigs and 2 pence for sheep and goats. The land owners were taxed at the rate of 1 shilling in the pound. The Council remained divided for 77 years and were united again in 1935 as the District Council of Tea Tree Gully. Council workers supplied their own tools and for their wage of 5/- per day they were expected to crack 3 yards of metal per day. In the 1860’s stone cracking hammers and picks and shovels were supplied to the regular road workers, but it was not until 1922 that Council could afford tools for the dayworkers. Also the Council had no “Road Plant” and cartage was hired at the rate £1 per day for two horses and cart with man, 6 bullocks and dray with man 15/-. In 1856 the Council purchased its first equipment-2 wooden wheel­barrows, two picks, two shovels and one crowbar. Another community activity Henry became involved in, was the annual ploughing match. It involved ploughing ½ acres in the given time of 5 1/2 hours, the furrows not to exceed 9 inches in width and 5 inches in depth. For a bullock team competing, a driver was allowed, but with horses no assis­tance was allowed. The first HopeValley ploughing match was held on September 20th 1860 on the Klopperland behind the Bremen Arms Hotel. The entrance fee was 5/- and as there were many. stumps in the ground it wasn’t a great success, but the dinner held the Hotel that night was well attended and enjoyed by all. In the following years the event took on a more festive atmosphere with sideshows and competitions. Henry was one of a committee who conducted sporting events for children and adults. 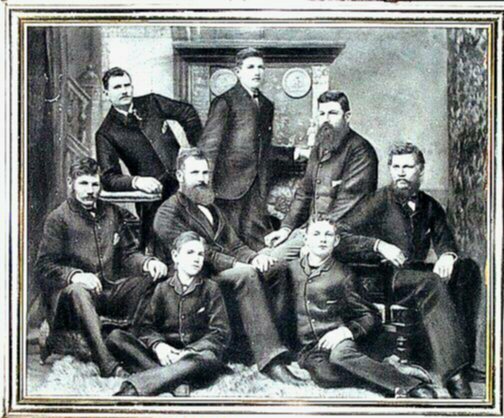 The Klopper boys as young men, were unbeatable as a tug-of-war team. In 1873 the ploughing matches were discontinued and a combined picnic for the Districts of Highercombe and Tea Tree Gully were held, and this was popular for some years. Hope Valley had its German Rifle Club from 1860 and competed annually on Easter Monday with the Adelaide German Rifle Club for the honour of being “King” of the year. In 1871 the competition took place at the shooting ground along side the Bremen Arms Hotel. Henry was one of the five local Germans competing but Gerber of the Adelaide Club, renamed “King”, was presented with a medal. The Ball held in the hotel that night was kept up till dawn. There were few restrictions on hotels in those days bars were open legally until midnight and the minimum drinking age was sixteen. For many years the road to Hope Valley from Walkerville via Gilles Plains was a bullock track, and in winter it became a quagmire even though tons of road metals were spread on the bad areas. In 1887 the Council of Highercombe acquired a secondhand roller which greatly improved the quality of roads. This roller was to be lent to the neighbouring councils free of charge, and constantly repaired, it was still in use in 1935. The track to Adelaide via Walkerville was the most popular track used as the settlers, being mostly of German origin, had relatives and friends in Klemzig and would call in on their way. Also another reason for the popularity of this route was the permanent springs in the gully, a very welcome stopping place for drivers and bullock teams. The second line of road entered the District of Highercombe form the present Lower North East Road via a ford over the river Torrens. Until 1935 the residents of Hope Valley had no direct transport to the City. In that year David Bowman purchased his first passenger bus, a seven seater Buick, and made two return trips to the City each day. Prior to that the residents had a two mile walk to what is known as the North East Road to catch the city bound horse tram (1884), electric tram (1911) trolley bus (1932). Adelaide’s first reservoir was at Thornton Park and had a capacity of 142,000,000 gallons and as the population grew another reservoir was necessary. Because of its clay beds, Hope Valley was chosen for the new reservoir. The tender of the Fry brothers of Kapunda for £35,467 was accepted, and besides their own 60 horses and drivers another 60 local horses and drivers were required. Henry supplied several teams of horses and bullocks with drivers, and some of the Klopper boys were also employed by the contractors. For the amount of the tender the Fry brothers were to raise an embankment nearly 1/2 mile long and 70 feet from the floor of the valley, and the breadth of the embankment, at its greatest, to be 355 feet, and 17 feet wide at the top. It was estimated that the surface of water in the new reservoir would cover 170 acres and the holding capacity would be 1,000 million gallons, enough to extend the water supply to the main centres of population and industry around Adelaide Walkerville, Port Adelaide, Glenelg, Hindmarsh and Brompton. The construction of the reservoir began in 1869 and on its completion it was discovered that there was a serious leakage of water. After supplying water during the summer of 1873 the reservoir was drained in March of that year and examined. It was discovered that the natural clay bed of the reservoir itself was permeable under pressure and it was necessary to cover the bottom with 6 feet of clay at its deepest part. The extra work took 6 months and cost the Government an extra £50,000 as well as reducing the holding capacity. Today the capacity of Hope Valley Reservoir is 765 million gallons. The enlargement of the aquaduct in 1954 allows up to 40 million gallons a day to feed into the reservoir. As property surrounding the reservoir was required for a picnic area and reserve, Henry sold the land he owned in the area to the Government and used the money to buy properties at Crystal Brook for his sons Charles, John and William. In 1875‑6, 1000 trees were planted around the reservoir. As “Trespassers will be prosecuted” signs are numerous and all gates are padlocked, this area is apparently no longer a picnic area. It was at the time of the construction of the reservoir, October 1st 1873 to be exact, that the Government of the day decried to adopt the eight hour working day, but it was still as a six day working week. Drivers and gangers working on the reservoir were paid 6/- per day, and pick and shovel workers 5/6 per day. Wages rose to 8/- but the Fry brothers could not afford the rise, they agreed to the eight hour day and offered 7/- which was accepted as a good wage by the workers. In the year 1891, after Henry’s death, a section of the Klopper’s land was sold to Douglas Tolley who began a vineyard as a hobby but it rapidly grew into a flourishing business. Tolley’s wine cellars are on the land which was originally owned by Henry Klopper. While digging an underground tank, Henry caught a chill and contracted pneumonia. He died at Hope Valley on the April 1888, aged 66 years and was buried in the Hope Valley Cemetery. His wife Caroline and two sons Adolph and Edward carried on the quarrying business until her death on March 18th 1914. Caroline never recovered form a broken hip she received in a fall and died at age 84 years. She was buried in the same grave as Henry in the Hope Valley Cemetery. Edward carried on the quarrying business until 1927 when it was sold. The old family home has since been demolished and all that remains on the site is an old pepper tree.